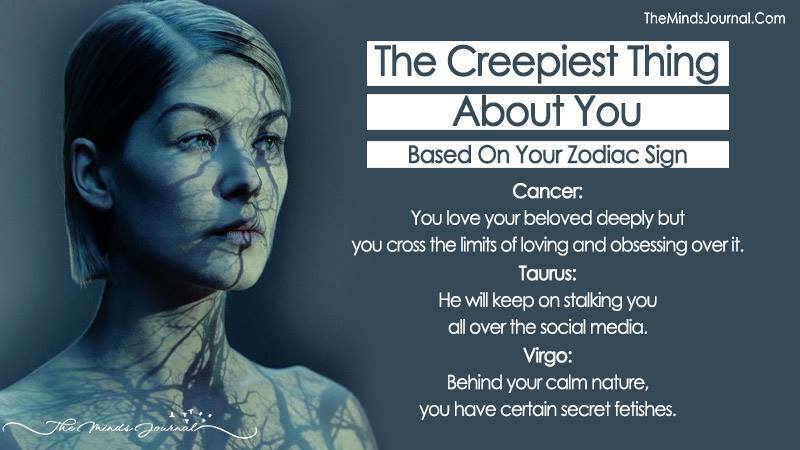 You have experienced the creepy Taurus if he was your ex. It doesn’t matter if he is over with or not. He will keep on stalking you all over the social media. A Taurus will always have your eyes on you. Don’t get frustrated by this because it’s their natural trait. You can’t-do anything about it. The twins are born liars. You have two brains working together. You always want things to work according to your advantage. You cook up stories and tell everyone, your version of the reality. Being a Gemini, you have two faces which make you a great story-teller. You love your beloved deeply but you cross the limits of loving and obsessing over it. You are obsessed with anyone or anything. This makes not only your life difficult, but others around you too, get disturbed. You don’t give space to your lover and make them feel suffocated. In this way, you damage the relationship. Behind your calm nature, you have certain secret fetishes. This is perfectly alright. You always remain reserved and deep within yourself, you nurture these desires. You stay away from expressing your sexuality but you do dream of exploring your sexuality. You don’t reveal that because you are too shy to discuss these things. You are always the curious cat. You have a knack of knowing the creepy things around. You can’t resist yourself from buying that particular book or watching that video or clicking on the links you get over the internet. You know a lot of creepy things existing in this world but you don’t indulge in doing any one of them. Everyone knows you are revengeful. You are one of the darkest signs of the zodiac. You think too much and your thoughts are extremely dark. Scorpio enjoys dreaming about brutal murders. You have finished watching all the episodes of Law and Order.